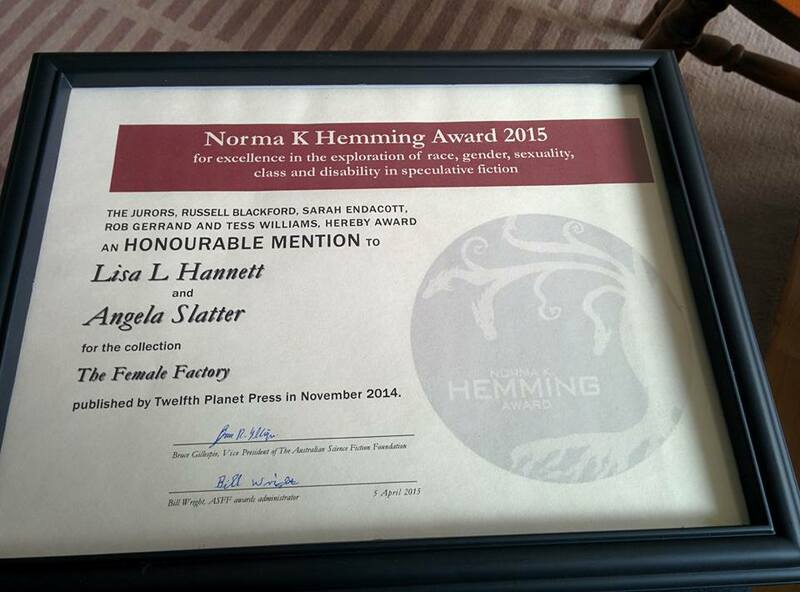 And our hon mention in the Norma K. Hemming Award (for The Female Factory) arrived in yesterday’s mail. Now to find a spot for it. This entry was posted in News and tagged angela slatter, honourable mention, Lisa L Hannett, Norma K Hemming Award, The Female Factory, twelfth planet press. Bookmark the permalink.